Runners from Ethiopia sweep the podium in the women's race and take two of the top three spots in the men's section in Sunday's Ottawa marathon. Kenya's Laban Moiben and Ethiopia's Kebebush Haile Lema each crossed the finish line first at the Ottawa Marathon on Sunday. Moiben won the men's race in two hours, 10 minutes, 17 seconds, just one second ahead of Dereje Abera Ali of Ethiopia. Dino Sefir Kemal of Ethiopia was third, 14 seconds back. Moiben finished second at the marathon last year. Lucas McAneney of Toronto was the first Canadian to cross the line with a time of 2:19:51. The 24-year-old finished 11th. In the women's race, Lema won in 2:32:14, ahead of fellow Ethiopians Biruktawit Eshetu Degefa and Radiya Adilo Roba, who were second and third respectively. Calgary's Emily Kroshus (2:42.26) was the top Canadian woman, in sixth place. 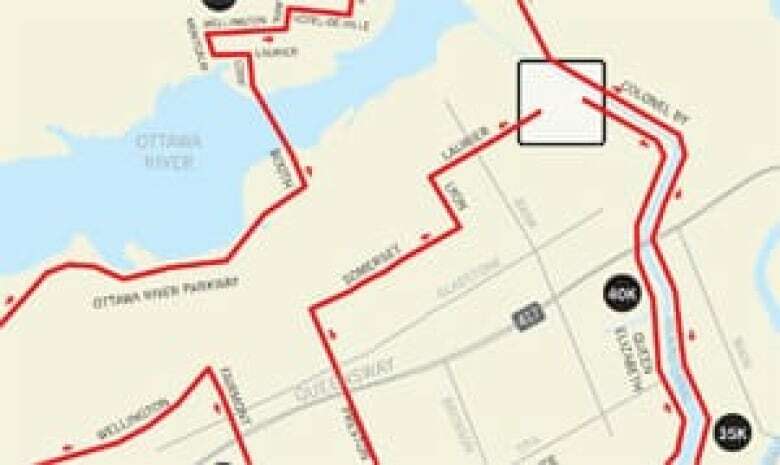 The route for this year's marathon was a new one, with fewer hills and more city sights than the course for the previous three races.